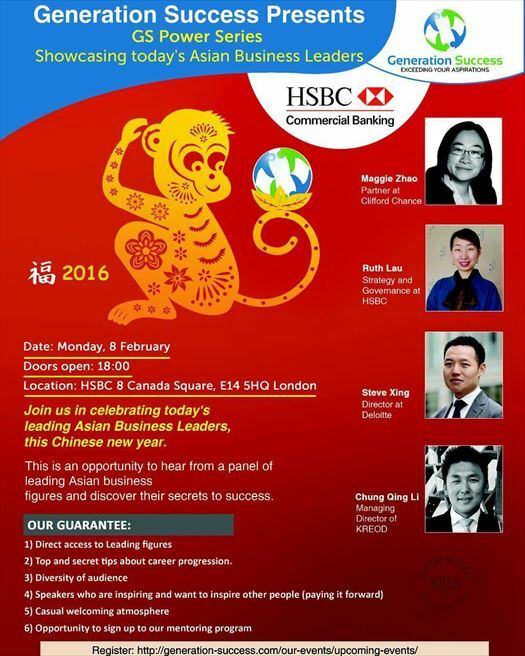 Generation Success and HSBC showcasing the UK’s Leading Asian business leaders. CBCC would like to invite you to an upcoming event hosted by Generation Success and HSBC, showcasing the UK’s Leading Asian business leaders. The event provided advice, guidance and inspiration on how to run a successful business. This was an opportunity to hear from a panel of leading Asian business figures and discover their secrets to success. If you were put off going after your dream job, senior position or starting you own business, think again. This event was about braking barriers and inspiration.